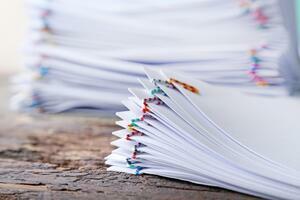 A COPD management plan can be incorporated by your doctor and can make it easier on you to management your COPD. 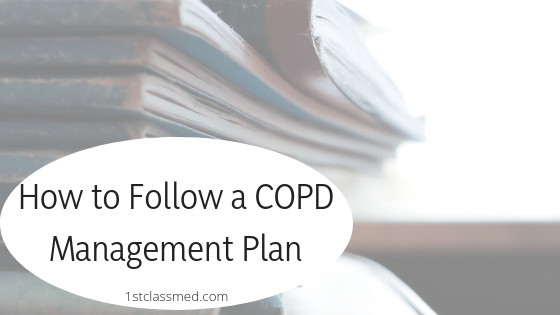 When your doctor creates a COPD management plan for you, it should include four components: assess and monitor disease (1), reduce risk factors (2), managing COPD (3), and managing exacerbations (4). Main goals of a management plan include prevention of disease progression, relieve symptoms, improve exercise tolerance, improve health status, prevent and treat complications and exacerbations, and reduce mortality. It should be the goal of the doctor and patient to have success in reaching all goals above, but with minimal side effects from the treatment plan. The success of the management plan can depend on the patient because if the treatment plan is not followed correctly the results may not be as successful as planned. When determining a treatment plan, it needs to be easy to understand and follow, as the more complications the less likely a patient is to follow it. Though it may seem odd to treat your doctor somewhat like a therapist, it allows them to understand the situation you are in and determine if your treatment plan is working well or not. If you do not express any emotion about your medications or treatment plan your doctor will not be able to make adjustments to medications, therapy and other treatments. Filling out a management plan with your doctor will allow both of you to look back at your plan and determine what may need to be changed or what could be causing any negative feelings you may have with medications or other treatments. It can also be frustrating to continue therapy for such a long time, but it is hard to stop therapy for those with COPD. This difficulty arises because even with therapy it is possible for no improvement but a plateau and stopping therapy can cause a decline in health. You may feel overwhelmed with how much you are doing but express this to your doctor and determine if you need all forms of therapy that you are on, and discuss every form of therapy that you are on. Discussing every form of therapy (medication, respiratory therapy, etc) can help you understand why you are on that therapy and if it is important for you to continue. It can be difficult, and you may feel like you cannot breathe, but knowing and practicing deep breathing can help you in situations where you may struggle to breathe. Deep breathing can help you relax your lungs and help return to normal breathing. Pursed lip breathing is an important technique to master and practice so when you are in a situation where you are struggling to catch your breath, you can use the technique. It can help slow your breathing down and get it to be steady again, which can make you feel better. Speak with your doctor as well about pursed lip breathing and practice with them so you are making sure to do it correctly. The diagnosis of COPD is based off of medical history as well as tests that result in low numbers and poor oxygen intake. For the diagnosis of COPD, spirometry is the standard measurement, as it produces the most reproducible, standard and accurate results. After it is assessed, and COPD is diagnosed, it is time to monitor the disease throughout the remainder of the patient’s life. The monitoring of COPD will include testing with spirometry throughout the years, as it can allow the test results to be compared over the years and find accurate results. Whatever the cause of COPD in the first place, it is important to reduce any future risks that can worsen the disease. Reducing the amount of tobacco smoke, dust/chemicals, and air pollutants can mean a slower progression of COPD. Quitting smoking is the number one way to reduce any risk of developing COPD as well as stopping any progression of the disease when diagnosed. Your doctor may offer you help in quitting as well as solutions to quitting (the patch, gum, etc) and support when trying to quit. Support can include practical counseling, social support for treatment and support outside of treatment and all forms can help lower the need to smoke. Health education may also play a role in managing COPD, as it can help improve skills, coping with the disease, and can help with quitting smoking. Pharmacotherapy for COPD is helpful in decreasing symptoms and complications that may arise during a COPD diagnosis. This form of therapy is the medical term for drug therapy, the specific drug will depend on your doctor and what they deem needed. Exercise training programs may also be beneficial in managing COPD and preventing it from getting worse. This will not only improve exercise tolerance and any symptoms of fatigue that you may experience before you started exercising. The use of oxygen (greater than 15 hours a day) in those with COPD has shown to increase survival rates. Ways to manage COPD include supplemental oxygen, bronchodilators, corticosteroids, antibiotics and even a ventilator depending on the extremity of the exacerbations. The main approach of managing COPD is to focus on exacerbations and treat them. Exacerbations are often to blame from infections and air pollution, but 1/3rd of severe exacerbations do not have a known cause. Treatment for exacerbations can range from bronchodilators, theophylline, and systemic glucocorticosteroids (normally taken orally). Bronchodilators are commonly used as the main symptom management for COPD and can be used as-needed or on a regular basis. Antibiotics may be used if the doctor believes the patient has an airway infection (more production of sputum or color change, and fever). It is also important to note that noninvasive positive pressure ventilation (NIPPV) is acute exacerbations has been shown to improve blood gas and pH levels, reduce hospital mortality rates, decrease the need for mechanical ventilation, intubation and length of a hospital stay. It can seem hard to follow a management plan, as you may feel restricted with what you can and cannot do, but a management plan can actually help you. Make sure to keep your doctor updated on how you feel about your plan, as things can be adjusted if you do not notice any difference with your current plan. The steps for a management plan are to help identify and treat any issues you may have and hopefully improve your symptoms. Sometimes managing exacerbations is key in treatment and making sure you are in good shape and feel less fatigue throughout the day. Overall it is important to make a game plan with your doctor and do as best you can to stick to it, as any variance from the management plan can cause a less successful experience.